The new section "Photo Gallery" has been opened at the conference website. Program Committee of RCDL'2009 expresses gratitude to all authors of published collections of photos. 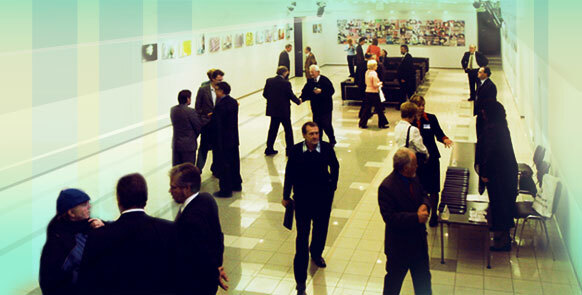 We invite all participants who have own photo collections from RCDL'2009, send links for their placement on the conference website. The published full papers and presentations are represented on the RCDL`2009 site (see actual conference program). The RCDL'2009 conference has been hold on September 17-21. The preliminary Program of the Conference was published. Dear RCDL'2009 participants! While preparing the full texts of reports for publication in the Proceedings of the conference please take into account the representation rules' modification. The First Announcement of the XI All-Russian Scientific Conference RCDL'2009 in English has been prepared. The First Announcement of the XI All-Russian Scientific Conference RCDL'2009 in Russian has been prepared.